We know how vital dentures are to those who have them. 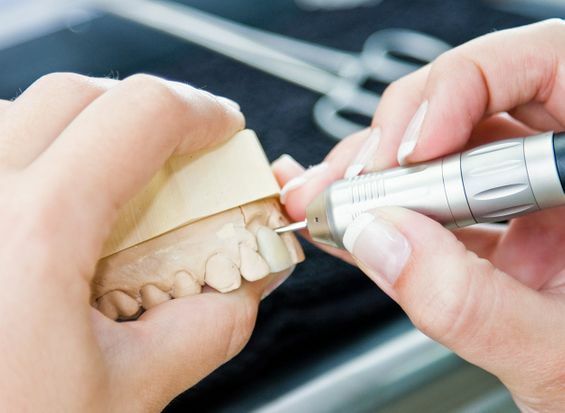 The denture repairs that we provide are completed quickly, allowing you to get back to normal. At Brunswick Dental Laboratory, we also provide emergency denture repairs, for when the clock is ticking. Call us to book an appointment or to speak to our team. Don’t let broken or cracked dentures be a problem. With Brunswick Dental Laboratory you’re able to take advantage of our emergency repair service today. Smile your brightest smile again, whether it's a single tooth or multiple teeth that require repair. Our team has the skills and tools on hand to offer a cost-effective and express service for you. As well as offering an excellent and efficient repair service, we also provide unrivalled aftercare. This ensures that everything goes smoothly, and that your dentures are acting as they should. Simply call in to our practice, or telephone ahead for denture repairs. Our fast response service means that most dentures are repaired within a few hours, and the longest we take is a couple of days. All quotations for our repair work are based on the type of repair required. Contact our team for your personalised quote. Contact us, in Greenford, Middlesex, to learn more about our emergency dental repairs. Please note that our emergency denture repair service is only available during normal working hours.